I for myself really enjoy using WordPress as a Content Management System, since most of the time its really easy to adapt to my needs. I usually use the different categories on my sites to display the various sections of the sites. For example, kriesi.at uses the category “tutorials” to feed the resources page and the “portfolio” category to feed my online portfolio. This is easily accomplished by using the query_posts() function of WordPress which i won’t discuss in detail since the documentations are pretty comprehensive. Well, as I recently checked my Google analytics account, I saw a heavy increase of site impressions.. from Japan! 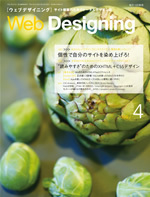 All i could find out was: the article written by Miki Ofuji includes a CSS and XHTML analysis.